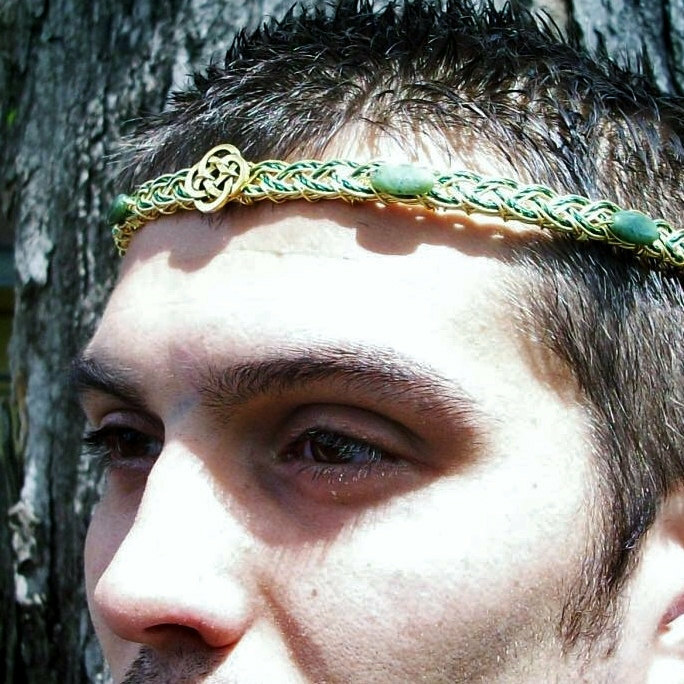 A Celtic knot symbol is flanked by six oval green jade pieces in this unisex circlet, inspired by the dark green mossy glades of Ireland and Scotland. 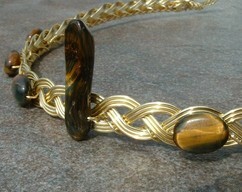 The central strand of the weave is a two color twist, a mix of grass/emerald green and dark moss, emphasizing the deep colour of the gemstones. 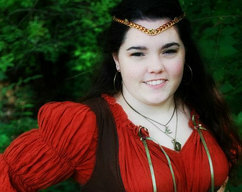 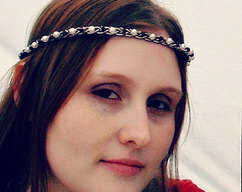 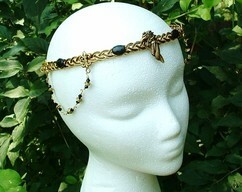 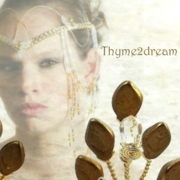 The circlet can be worn by either men or women and depending on the activity level, can be worn as is, or held in place by ribbon or leather ties.